 PASADENA, Calif. (September 18, 2018) – The Tournament of Roses has selected Preston Bailey, Michael E. Berry, and Kimberly Oldis to be float judges for the 130th Rose Parade® presented by Honda.  The judges will grant awards based on many criteria including creative design, floral craftsmanship, artistic merit, computerized animation, thematic interpretation, floral and color presentation and dramatic impact.  The 2019 Tournament of Roses President Gerald Freeny will announce the award-winning floats the morning of January 1, 2019, on the front steps of Tournament House. Preston Bailey was named one of the best wedding planners in the world by Vogue Magazine and has been globally-celebrated for his unique ability to transform ordinary spaces into lush, theatrical environments. As a premier event designer, he has established a client roster that includes celebrities, royal families, CEO’s and athletes. Since opening his design studio in 1980, Preston has been sought out to create one-of-a-kind, transformative designs that serve as backdrops for some of the most memorable moments of his clients’ lives. A designer with a passion for creating designs to be enjoyed by the public as well as his clients, Preston has created numerous art installations featured across the world with showcases in New York, Las Vegas, Hong Kong, Jakarta, Taiwan, Macao and London. This passion for creating designs, also translated into his tabletop linen collection, a collaborative effort with Nüage Designs. He has also developed many licensing agreements, with, Sandals Resorts, Godiva Chocolate, Uncle Ben’s Rice and Hewlett-Packard among others. Preston’s dedication to supporting and remaining accessible to the event designing industry, initiated the idea for his PB Protégé program, a series of specialized Masterclasses that offer mentorship and education to industry professionals at all levels. The author of seven books –five of them bestsellers—Preston is often asked to share his experience through speaking engagements, seminars, editorial profiles and television and radio interviews. Michael E. Berry is the longest serving President/CEO in the history of the Kentucky Derby Festival, one of the nation’s largest civic celebrations. Beginning his career at Festival in 1986, following service as an Assistant to Kentucky’s Governor, Mike’s experience has been thirty-two years in the making. Mike oversees the planning and production of the award-winning celebration with nearly seventy events on the Festival’s official schedule. With a staff of twenty-two and a seventy-five-member Board of directors, Mike orchestrates this award-winning celebration each year. The Derby Festival spans over two-weeks and seeks to dazzle and delight spectators from Louisville and surrounding areas. He has served on the boards of several organizations including the Board of Directors for the International Festivals and Events Association (IFEA), IFEA Foundation, Music Theatre of Louisville, Stage One Family Theatre, Louisville Theatrical Association, and Louisville Convention and Visitors Bureau. In 2008, Mike was an Inductee in the International Festivals and Events Association Hall of Fame and an Inductee in the Phi Kappa Tau Fraternity Hall of Fame. In 2012, Mike was inducted into the DeMolay International Hall of Fame and was the 2011 recipient of the Louisville Defender Outstanding Community Service Award. 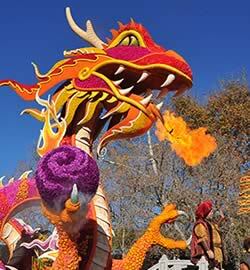 Kim was involved with the Rose Parade from 2005 – 2010 as a Rose Parade float designer with Charisma Floats. Most recently she had volunteered as a designer with Cal Poly. Through Charisma, she had the privilege to be on the floral design team at the Academy Awards® for four years. Kim had the honor to design for the 2004 Presidential Inauguration in Washington, D.C. and was invited to design in 2015 at the White House. Currently Kim is a free-lance and event designer. For 16 years she owned Kimberly’s Flower Shop in Glen Ellyn, IL. From 2001 – 2007, she was the Assistant Director of the Chicago Flower and Garden Show. Engage, Educate and Enlighten is the mantra that drives Kim’s floral mission; floristry is her passion.